Presented in two parts – Classical and Popular Song – the program captured the sound and spirit of Latin American women past and present, who triumphed over sexism and a male dominated industry and made their voices heard. The material – 13 compositions in all – was interpreted beautifully by rising stars, soprano Maria Valdés, and baritone Efrain Solís, accompanied by pianists Steven Blier and Michael Barrett, guitarists Pancho Navarro and Brendan Cowan (making his professional debut) and percussionists Leonarda Granados and Jeremy Smith. The other “star” of the show was Artistic Director, pianist Steven Blier, whose knowledge and passion for the subject matter made the arduous task of walking the audience through unfamiliar territory seem effortless. Needless to say; the presentation was a rare treat, but I left wondering why – with the exception of a few, I was unfamiliar with the vast majority of the artists. In the end, I rationalized that part of the reason had to do with a generation gap. I grew up in New York City (Brooklyn) listening to Salsa, Cuban music and Brazilian music, and singer/songwriters such as Graciela, La Lupe, Celia Cruz, Astrud Gilberto, Flora Purim and Tania Maria among others. Also, in spite of the fact that Latin American music is thriving in Latin America, there is a long-standing disconnect between Latin American and U.S. markets, an issue that’s being discussed at an upcoming music conference in Guadalajara, Mexico. Latin American music has long influenced popular music, jazz, rhythm and blues and even country music, but that’s whose depth and breadth is for another day. The presentation was a joy to watch, a teaching moment and an opportunity to revel in the works of some of Latin America’s unsung composers. Kudos to the Kaufman Center and New York Festival of Song for their adventurous programming. Each of tonight’s composers had to figure out a way to forge her path in music. There is no formula for fighting sexism, racism, or the kind of political repression that discourages artistic expression. Some were luckier than others. Among tonight’s roster, Rocío Sanz (1933-1993) led one of the more charmed lives. She was born in Costa Rica, but had the means to study abroad, first in Los Angeles, then at the National Conservatory in Mexico City, and finally at the Tchaikovsky Conservatory in Moscow. For much of her life she based herself in Mexico, where her musical endeavors were focused on dance (including the Ballet Folklórico de Mexico), theater (the Escuela de Arte Dramático) and children’s music (a long-running and beloved radio show called El rincón de niños)—recurrent themes in the artistic lives of our compositoras. But Sanz was also able to enter the central arena of classical music, making her mark with several large-scale works, including her Cantata de la Independencia de Centroamérica. This choral piece took the first prize in a competition to celebrate the 150th anniversary of Costa Rica’s independence. Though she had to wait 13 years before it premiered, it cemented Sanz’s reputation as one of her country’s spokespeople. Over the course of a four-decade career, Montevideo-born Beatriz Lockhart (1944-2015) became one of Uruguay’s most significant composers. But she had to weather a sixteen-year absence from her homeland: a 1972 coup d’état landed her on the wrong side of Uruguay’s repressive military dictatorship. 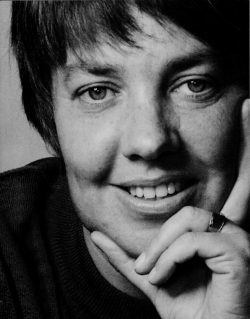 Lockhart emigrated to Venezuela where she helped launch El Sistema, the renowned musical education program. She was finally able to return home in 1986, when she once again rose to the top of her field. The list of Lockhart’s honors and awards would practically fill a column of this program booklet, and luckily much of her compositional output has made its way to CD and video. She dabbled in all the idioms of her time. A student of Alberto Ginastera, she involved herself with electronic music; she embraced the acerbic tango-style of Astor Piazzolla; and imbued the folk dances and urban rhythms of her own country with the refinements of the concert stage. Her musical influences were not confined to South America. Lockhart became fascinated with Spanish music and poetry during a trip abroad in 1963. Finding inspiration in the poetry of García Lorca and the sounds of flamenco, she coalesced her passions in Homenaje a García Lorca. Here Lockhart melds the rhythmic snap of Spanish dance with her own sweet-and-sour musical vocabulary, jagged discord veiling an underlying romanticism. 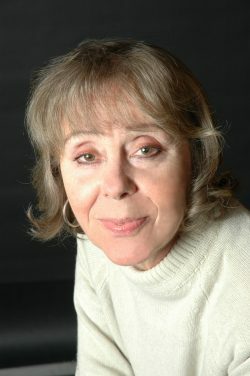 Odaline de la Martínez (b. 1949) was born in Matanzas, Cuba, emigrated to the United States when she was twelve, and took up residence in Britain in l972 to study composition and piano at the Royal Academy. 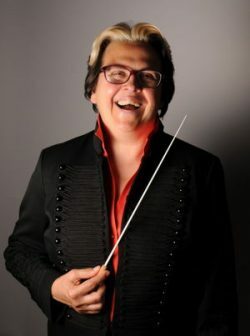 She has remained a resident of Britain where she has attained her greatest stature as a conductor (the first woman to conduct a BBC Proms Concert at Royal Albert Hall); champion of modern music (founder of both the Lontano Ensemble and the Contemporary Chamber Orchestra); and proponent of women in classical music (co-founder of the European Women’s Orchestra). Her first opera, Sister Aimeé, premiered in America in 1984, followed by two more—The Crossing and Inoinda. Like most contemporary composers, she has run the gamut from the far-out to the neo-romantic. But her Lorca-based Canciones take her back to her Cuban roots, with haunting percussion effects under charismatic, chanted vocal lines. They are a perfect evocation of Lorca’s poems, whose simple, transparent language is open to a wide range of interpretations. De la Martínez’s colorful music, at once sophisticated and primitive, turns the poet’s riddles into distilled moments of emotion. Gabriela Frank (b. 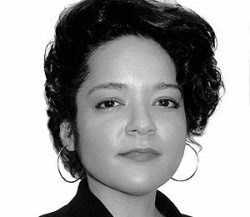 1972) is a one-woman melting pot: she was born in Berkeley, California to a mother of mixed Peruvian and Chinese descent and a father from a Lithuanian Jewish family. Frank has made her wide-ranging heritage into the foundation of her art—she describes herself as a “musical anthropologist.” Following the examples of folksong-collector Béla Bartók and Argentinean icon Alberto Ginastera, Frank has delved deeply into the indigenous music of South America. The colors and rhythms of Latin folk music permeate her work, as well as its myths and archetypes. As a young man, Cuadra spent more than two decades sailing the waters of Lake Nicaragua, meeting peasants, fisherman, sailors, woodcutters, and timber merchants in his travels. From such encounters, he was inspired to construct a cycle of poems that recount the odyssey of a harp-playing mariner, Cifar, who likewise travels the waters of Lake Nicaragua. In my initial reading of the poems, I was struck by how Cuadra writes of commonplace objects and people, and ties them to the undercurrents of his country’s past of indigenous folklore. Despite Cuadra’s plain vocabulary, ordinary things are rendered mythical, filled with wonder. Rio de Janeiro-native Clarice Assad (b. 1978) comes from musical royalty: her father is the composer/guitarist Sérgio Assad, her uncle is Odair Assad, a distinguished classical guitarist, and her aunt is jazz singer/songwriter Badi Assad. By the time she was seven, Clarice was performing onstage with her family. She has matured into a bewitching composer and performer in a genre that straddles jazz and classical music. She is also a graceful, clean vocalist with a virtuosic sense of rhythm and perfect intonation. Assad’s popular music continues the traditions of Jobim and João Gilberto, adding a Caribbean rhythmic drive and inventiveness reminiscent of Michel Camilo—occasionally even elements of rap, which I admit sounds a lot better in Portuguese. And her orchestral music has some of the broad, jungly feel of Villa-Lobos. Clarice Assad is enjoying a banner year, with four premieres and many concert appearances. I’m very glad to welcome her to NYFOS. Enquanto a noite durar is an homage to my grandparents, Jorge and Angelina Assad. Jorge passed away in 2011. He died in the arms of my grandmother, with whom he spent a lifetime of over 60 years. Jorge never had any spiritual faith; his biggest faith was, I think, in the power of music. My grandmother on the other hand, has been lighting candles and asking spirits for protection since I can remember. I inherited a bit of faith from each of them. The day my grandfather died, I had to play a concert in the evening. Onstage, I could ‘feel’ his presence so strongly, it was as if a part of him was right there with me. Together with Daniel Basilio, I envisioned a song that would immortalize this moment, a loss felt by so many of people when he passed away. Dolores Castegnaro (1900-1979) was born in San José, Costa Rica, and her countrymen are proud of the success of their native daughter–in spite of the fact that she spent most of her life outside her birthplace. She received her first musical education from her father, but soon continued her studies in Italy’s most prestigious conservatories (Milan and Bologna). From there Castegnaro moved on to Paris where she first published her compositions—a book of eleven songs. When the Second World War began to burn through Europe, Castegnaro returned home. But as soon as it ended, she took up residence in Mexico City where she spent the rest of her life. 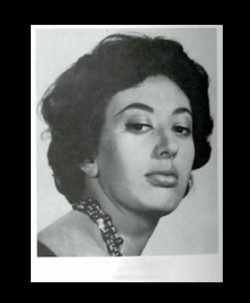 Given her Italian training, it is no wonder that Castegnaro gravitated to arpeggiated accompaniments and bel canto lines, the kind of spun-out cantilena that made her a favorite with legendary opera singers like Montserrat Caballé and Vanni-Marcoux. In “La casita,” though, we hear the composer’s native roots: Caribbean swing, sweetness, and simplicity. The song only uses four chords, but the music’s naïveté is the source of its charm. I’ve been walking around my apartment belting out its refrain, “Amor, amor!” for days now. Latin Americans love to dance, and popular song has always been a thriving industry south of the border. 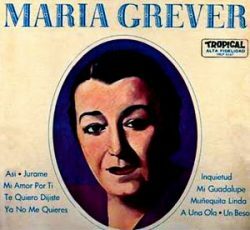 María Grever (1885?-1951) became one of Mexico’s leading suppliers of those ear-catching boleros and habaneras—as well as one of the first women in our hemisphere to attain the highest stature in her field. Like Castegnaro and Sanz, she did this by leaving home. At six, she moved to Seville, her father’s native city, and as a teenager she took up residence in Paris where she is said to have studied with Debussy. Getting exact information about this superstar (including her year of birth) is almost impossible, but here are the indisputable facts: she married Leo Grever, an American oil company executive, in 1907. Legend has it that she met him at her sister’s wedding, and became his wife six days later. The couple took up residence in New York, where she was able to publish popular Latin songs that from the very beginning of her career sold millions of copies. While she apparently had perfect pitch, could only compose in one key, C. (What would Debussy have thought of that, one wonders?) She became a one-woman hit factory—“What a Difference a Day Makes,” “Magic Is the Moonlight”—and wrote for big bands, Hollywood, and a glittering array of stars from Caruso to Esther Williams. Grever herself was a beloved performer, enchanting crowds with her tiny, delicate voice and megawatt charm. From her perch in the Big Apple, she brought the magic of Mexican song to millions of North and South Americans—and Europeans. Chabuca Granda (1920-1983) may never have achieved the international acclaim of María Grever, but from her perch in Lima she became one of Peru’s most influential spokespeople. She took her local criollo music seriously, dedicating herself to disseminating the rhythms and cadences of this working-class genre past the barrio and into the upper echelons of society. Her rhythmic dexterity can be breathtaking. In her hands, something as simple as a waltz becomes fascinating and multifaceted. Later in her life she began to dig into the complexities of Peruvian poetry and Afro-Peruvian music. Her song “La flor de la canela” is the unofficial anthem of her hometown, but I there is a special place in my heart for “Fina estampa,” a two-chord song of almost dizzying sweetness. Ernestina Lecuona (1882-1951) belonged to a distinguished Cuban musical family: her brother was Ernesto Lecuona, often featured on NYFOS concerts, and her grandson is Leo Brouwer, one of the modern era’s most important Caribbean guitarists and composers. She paid the price for being a woman, living her life in the shadow of her international-superstar brother. Still, she maintained a busy life as pianist and songwriter, championed by singing stars Ester Borja and Jessica Dragonette who disseminated her songs throughout the Americas. She also toured with her brother as a duo-pianist team. Their 1948 concert at Carnegie Hall was probably the pinnacle of her onstage career. Sensitive to the outsider status of women in music, she founded the Orquestra Feminina de Concierto in 1937. Susana Baca (b. 1944) has probably done more than almost anyone in the history of Peru to bring the music of her country to the international community. This did not, however, endear her to the authorities or the musical establishment. 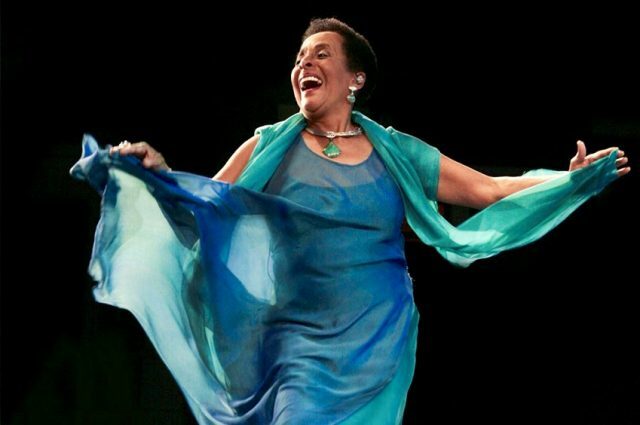 In the early years of her career Baca devoted herself to collecting indigenous Afro-Peruvian songs, and then replicated their cadences in her own compositions. She was also drawn to modern, Vanguardist poetry. None of this was considered commercially viable or socially acceptable in the canción popular business. Shunned by Peruvian music publishers and radio stations, she pursued her career abroad with some success. Her fortunes changed for the better in the mid-1990s when another of my Latin American gurus, Dorothy Potter, introduced Baca to David Byrne (of Talking Heads fame). He instantly understood her musical message and included her in his ground-breaking compilation CD, The Soul of Black Peru. Her rendition of “María Landó” launches the album, and it re-launched her career as well. When Baca won a Latin Grammy in 2002, she was finally honored as a star in her native Peru. Her approach to music has resisted all the standard entrapments of superstar performers: she records in her own home, where the band members and singers all live together while they are at work on the project. Their intimacy is intrinsic to the kind of music they produce. Much of Susana Baca’s music is so closely tied to her own voice and her intimate connection to Peruvian natives that I initially despaired that it would not translate to the concert stage. But when I came across “De los amores,” I hit pay dirt. This autobiographical, Cuban-style son with a heart-stopping lyric is the closest thing to an art song in her output, and I put it on “repeat play” the moment I heard it. María Elena Walsh (1932-2011) led a double life as an artist. She was passionately devoted to children’s literature, and created an oeuvre of poems and novels that have been compared to Alice in Wonderland for their imagination and complexity. Her TV scripts and songs for kids made her a folk hero in Argentina. But Walsh was also a fierce opponent of political repression. She spoke out against Perón and, later, the military dictatorship that lasted from 1976-1983. She used simple language in her writing, and her music tends to be transparent and uncomplicated. As a result some critics have undervalued her importance as an artist. But Walsh was a proud lesbian feminist in a repressive, homophobic culture. She was always looking for ways to fight the abuses of a repressive society. Wit and wordplay are her weapons—apt ones against a humorless junta. Walsh’s music may sound gentle, but her message is devastatingly powerful. “Como la cigarra” embodies the spirit of this quietly subversive artist: like the North American folk song “We Shall Overcome,” it detonates with unexpected power. Chilean icon Violeta Parra (1917-1967) is one of tonight’s most revered artists. This is mostly due to her extraordinary life, dedicated to the study and dissemination of Chilean folk music throughout the Americas, Europe, and Russia. Using these elements, Parra developed her own musical language, a kind of sophisticated primitivism to which she wedded lyrics of simple power. She was also respected as a visual artist: Parra was the first Latin American to receive a solo show at the Louvre. But her iconic status is also due to her death, a suicide at age 49. Her life was in a downward spiral. Her relationship to flautist Gilbert Favre had broken up, leaving her desolate. And the Chilean régime in the mid-60s was becoming increasingly repressive. Parra had always been something of a populist hero, a strong advocate for workers’ rights. But suddenly recording companies and radio stations were under pressure to give her the cold shoulder. They didn’t want to get caught in the crossfire. Lacking the strength to go on, she shot herself in the head. In the light of her impending death, her most famous song “Gracias a la vida” takes on extra layers of meaning—a blessing, a farewell, a suicide note, and admission that even though life offers so much, it may still not be enough to keep going. 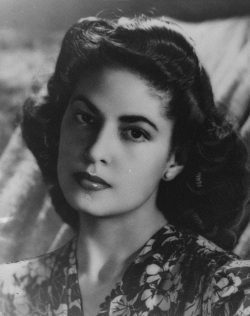 If Mexican composer Consuelo Velásquez (1916?-2005) had written nothing more than “Bésame mucho,” her place in the history books would still be secure. The song has become the emblem of the Latin lover—the music seems to have permanently flared nostrils. Velázquez began her musical life as a concert pianist, and Enrique Granados was the musician she most revered. 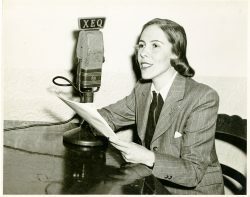 But radio became her path to fame, although she had to use a series of male pseudonyms on air since it was considered an unsuitable medium for well-bred young women. Velázquez stumbled onto the international scene by sheer chance: a royalty fight had broken out in the U.S. between ASCAP (who were demanding more money) and American radio broadcasters (who didn’t want to pay it). BMI, a rival group, stepped into the fray with a clever solution: they went looking for hit songs written outside the United States. They found “Bésame mucho,” which had been a success in Mexico. When Tommy Dorsey got his hands on it in 1943, it became a million-seller and Velásquez’s career was made. She never had another success like “Bésame,” but her songs did well and were picked up by Nat King Cole and many others. When I began working on Compositora I had hoped to see a pattern, something that unites all the women whose music we celebrate tonight. But every artist’s path is blessedly unique. They run the gamut: modernists, folklorists, commercial successes, outliers, top-40s machines, introverts—a beautiful spectrum of personalities. The one thing all of our composers have in common is that they bucked the system, fought sexism, and found a way for their voices to be heard. I am so happy to welcome them all to NYFOS tonight. I had some expert help researching and devising tonight’s program. 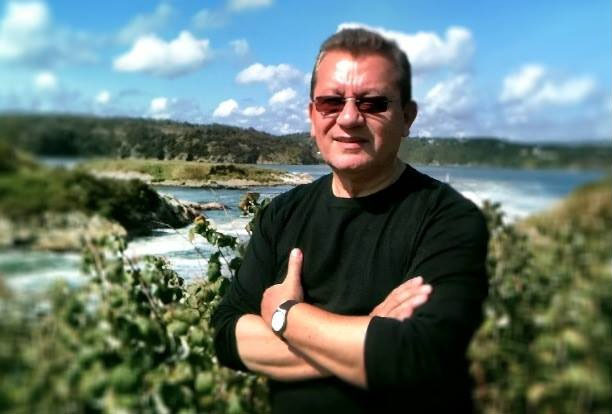 Gus Chrysson was My Man In Costa Rica, an open-hearted and keen supplier of songs and good advice. Pablo Zinger’s amazing generosity, deep knowledge, and supernal musicianship are an enduring and invaluable source of inspiration for me. Efraín Solis helped edit translations and made sure I kept my nerve from beginning to end. And Dorothy Potter’s eagle eye, precision with language, refined sensibility, and far-ranging musical understanding saw me through hurdle after hurdle. No accent mark, no translation bollix, no detail of usage (in English or Spanish) or poetic imagery eludes her. She is both my microscope and my telescope. To my entire University Without Walls, profound thanks. Support the New Amsterdam Musical Association!